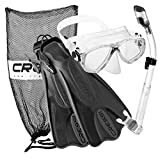 Laurie purchased this snorkel set very soon after she learned to snorkel and it worked well for her. 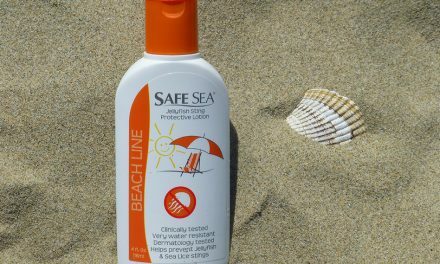 This set has everything a beginner snorkeler needs and the components are of good quality. We love to snorkel and do it as often as we can. 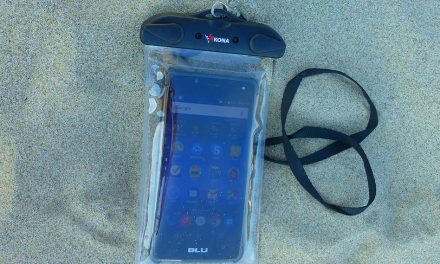 We always travel with our snorkel gear and have enjoyed exploring the underwater world in Kauai, Oahu, Hawaii, Costa Rica, Thailand, Bali and Mexico. 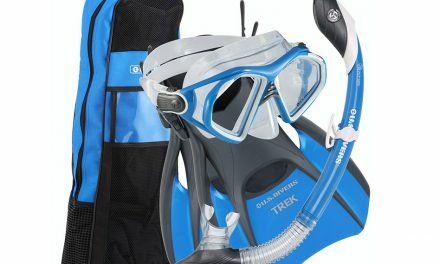 The Trek fins that come with this snorkel set are perfect for travelers because they fit well in even a small suitcase. They are also easier to walk in than other fins and have plenty of power for snorkeling. They are quite comfortable to wear for long periods too. After spending a couple of months on assignment in Hawaii and doing a lot of snorkeling, Laurie eventually purchased a high end mask and double tube snorkel at a dive shop. It was an expensive purchase, but she was ready for top quality gear. She continues to enjoy using the US Divers Trek fins. 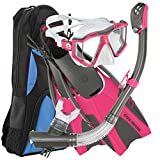 This snorkeling set includes the Diva 1 LX mask, Island Dry LX Snorkel, a pair of Trek fins, and a handy wet bag to keep it all together, all from US Divers. It is similar to the mens snorkeling set, with design tweaks to better fit women . 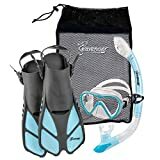 Summary Good quality complete snorkeling set designed for women.